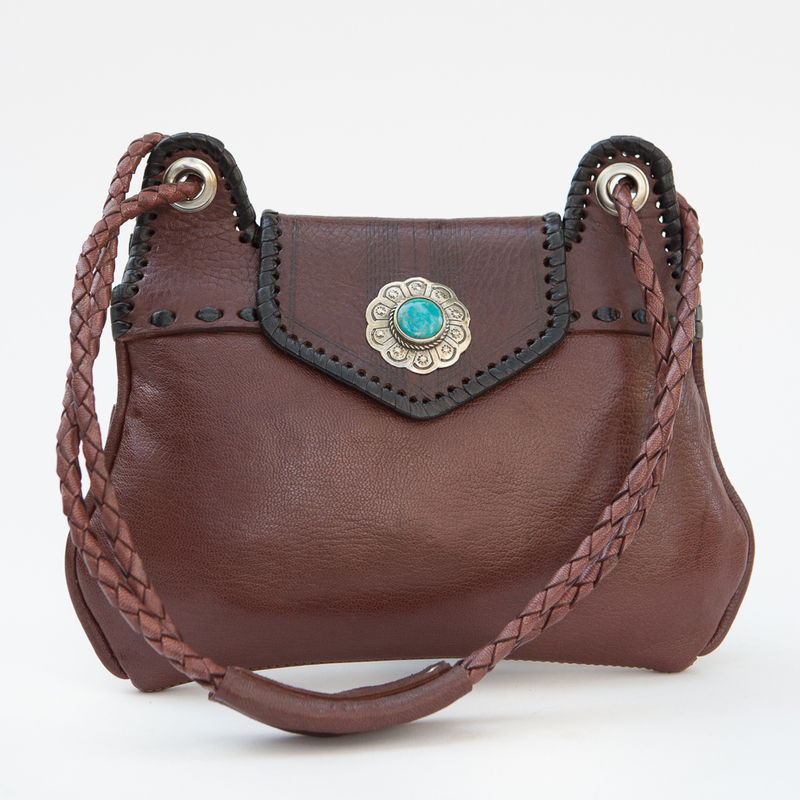 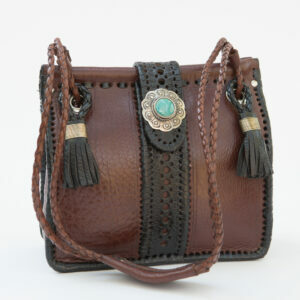 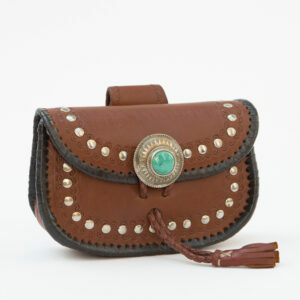 A lot of charm to fit under your arm, 26” Braided cord strap, inside divider and back pocket. 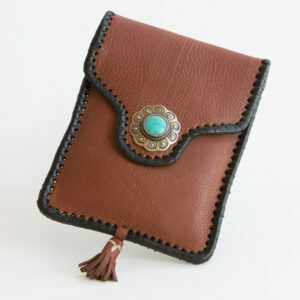 11×7 in. 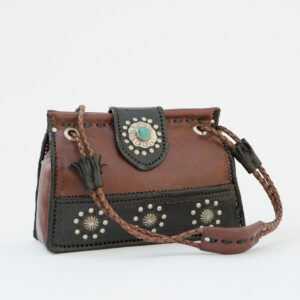 See same bag with long strap search SK-241.